On this page, you can find information about an unofficial international drivers licence , for instance, when and how or who and where can use this document. Please, use links at the bottom of the page to find information which is interesting or may be useful for you. We are working hard to find and create topics about information helpful for drivers. If you are going to travel to a foreign county or have a business trip, check the road traffic and driving rules in the country you will be visiting to verify if you can use your national driver permit or you need an international translation further to your original driver document. You might need this identity document that allows the holder to drive a private motor vehicle in countries that recognize it due to the fact that your national driving permit does not meet the requirements of the legislation of other countries which are you going to visit. For example, your national driving permit has been translated into Latin not completely or it lacks some necessary information about you, your name, address, height, and eye color. Also, on some driving licenses, the signature of the owner is not provided. If you will need to communicate with foreign authorities while driving abroad, this recognizable form of identification (the personal information present on this document) can help you get on your way more quickly. The presence of this companion document to a valid countries driver permit is an additional proof of an eligibility to drive, and can prevent from legal hassles such as fines and bail fees if you are in an accident or stopped by police. If you are going to drive abroad any type of motor vehicles or riding motorcycle, be prepared for that as some countries have unusual rules, for example, eating or drinking (even water) while driving can be illegal, or it is forbidden to drive a dirty car, or unnecessarily stopping on Autobahn is not allowed, or if you need vision-correcting glasses in order to drive, you must keep a spare set in your car all the time while riding, and these are only a few uncommon rules. At the same time, to addition of the knowledge of road traffic laws you should have all required documents for legally riding in a country (countries) you are going to travel. Different countries have different requirements to drive legally on their public roads, so you should verify requirements for a driver license in the country which you are going to visit. You can find information about enforced laws, traffic rules, and requirements to drive in any given country on the official government websites of the country you are going to visit. Check with the embassies of the countries you plan to travel to find specific information about requirements for driving there. Foreign embassy and consulate contact information can be found on the Country Information page for each country. An unofficial international drivers license contains the translation of an original driver permit on six languages: English, Spanish, French, Russian, Chinese, and Arabic, the official languages of the United Nations.This unofficial document is a 105 x 148 mm grey booklet with white inside pages. The first and second pages are printed in the national language and the last two pages are printed in French. The inside pages repeat information from the last two pages in other official languages: English, Russian, Spanish, Chinese, and Arabic. This document contains information about a driver, his picture and signature, category of vehicles for which this permit is valid and expiration date, and exclusions (countries). For more information, see Form and size of the International Driver License Translation. If your home country is not present among the countries signed the Convention on Road Traffic and you cannot take the official international drivers permit from your home country, AutoDriverClub.com will help you with the international translation of your national driver licence. the applicant must hold a valid driver license issued by the country of his residence. 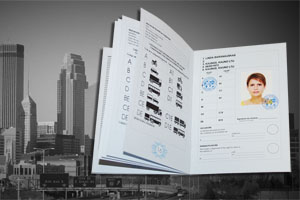 The international driver licence is issued on the basis of an original driver permit; therefore, getting of the unofficial international driver document does not required to undergo a medical examination and/or to take any written and/or road tests to verify aspects of a person's personal identity. So, the obtaining an additional document that is confirming the right to drive automobile in foreign country,do not take much time and drivers who have valid driving permit issued by the authority of their home countries may obtain this document in the easy way. Use links below to find additional information about driving overseas and other important notes of using the translation of driving permits.